Last week I placed my first order with the Avon Online Shop and was delighted when my new purchases were waiting for me last Friday. 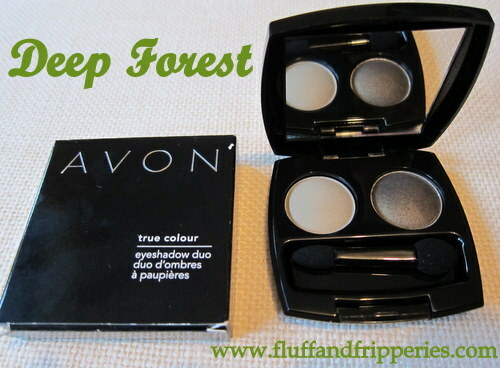 I've been really impressed with the quality of the Colordisiac lipsticks, glimmerstick brow definer and this gorgeous true colour eyeshadow duo in Deep Forest, above (which was reduced to €4.50!). But when I proudly displayed my bargains to Himself, he muttered a question about whether I really needed another eyeshadow. 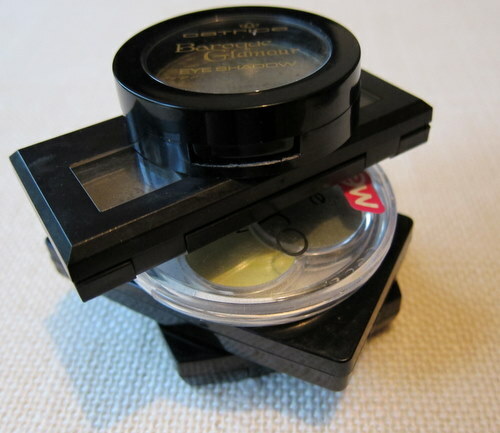 I always need another eyeshadow! In the name of the blog! I'm dedicated that way. 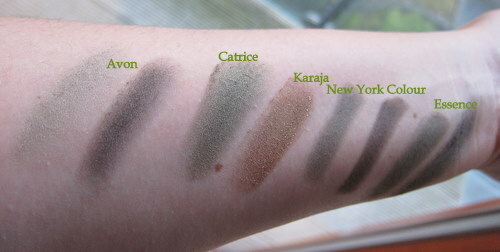 So he clarified by wondering whether I really needed another eyeshadow IN THESE COLOURS. Ah. A quick rummage in my handbag revealed that much as it pains me, he may, in fact, have had a point. 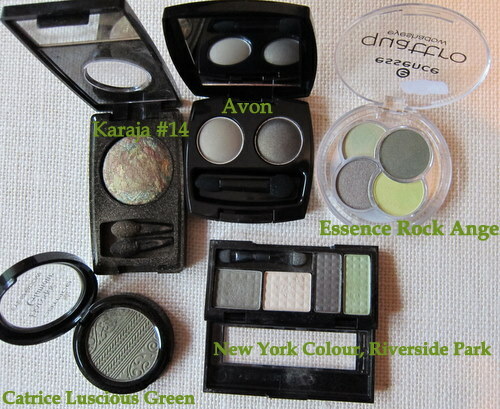 These smokey greens, olives and khakis are without a doubt my favourite eye colours. What are yours? My favorite is navy and golden! I love the browns and beige's suit me well, plus its safe. @Julie They just don't get it do they? You can NEVER have too much! @Eleanorjane and @Daphne Those colours all sound lovely and I have a good number of browns, purples, golds and navys kicking about too! @Sarah I hear amazing things about the Avon gel liner pencils and I actually have one at home I'm just about to try out! @Bernien I find myself more drawn to browns and beige's these days too and we're spoiled for choice with the gorgeous palettes out recently, Urban Decay Naked, Bobbi Brown Tortoiseshell, the new MUA one and the Sleek Au Naturel are all absolutely stunning! Thanks for stopping by my Monday Beauties Blog Hop! :) Remember this is only my first one, so I hope it will get more popular as the weeks go by! My mother use that makeup brand and it really works with her skin type. But when she had an IPL therapy, she barely used any makeup. She just resorted to wearing BB cream everyday to cover the scars.